Rasmala, a leading regional investment bank based in Dubai, UAE, said it has acquired two logistics facilities in Germany for $185 million through its asset management subsidiary, Rasmala Investment Bank. 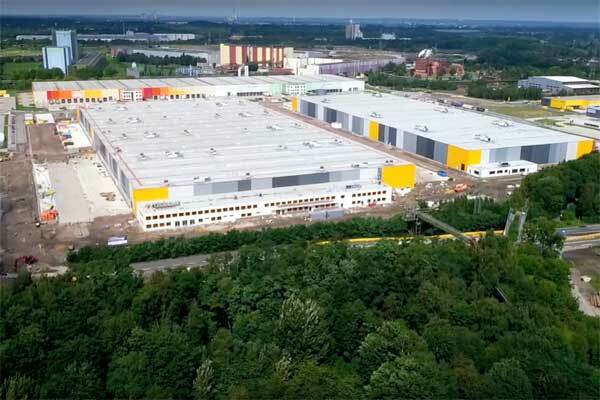 The first facility is a major new Amazon logistics centre spanning 88,000 sq m and was acquired for $145 million, while the second facility, a logistics centre let to a subsidiary of sports goods retailer Decathlon, was bought for a $40 million. Both facilities are located in the new Grade A Westfalenhuette logistics park, north-east of Dortmund, Germany. The new Dortmund logistics park is strategically located for distribution operations with easy access to both eastern and western Europe. Located within the densely populated Ruhr Valley – the most populated region in Germany – the site is ideally situated for logistics operations. These acquisitions add to Rasmala’s portfolio of investments in the logistics sector. In March last year, Rasmala purchased Amazon’s biggest UK fulfilment and distribution centre, which covers 1 million sq ft (93,000 sq m) located in Dunfermline, Scotland, for $82 million. That transaction is believed to be the biggest ever single logistics property deal in Scotland. Outside Europe, Rasmala acquired a fully let portfolio of 120 warehouses in Dubai Investments Park, close to the Jebel Ali Free Zone in Dubai for $140 million. Group CEO Zak Hydari said: "Rasmala’s acquisition of over $400 million of logistics assets demonstrates our appetite for stable income-yielding assets." "Well-sited logistics centres let to the right tenants have become a critically important part of any large real estate portfolio," stated Hydari. "Real estate is going to remain a key strategic pillar of our 2018 plans leveraging our expertise in acquiring attractive assets in the most in-demand asset categories, let to blue-chip tenants," he noted. Naseer Aka, the head of Real Estate at Rasmala, said: "E-commerce continues to grow its market share. As a result, distribution centres have taken over from traditional retail space as drivers of rental growth. As the leading e-retailer in the US and the world’s biggest retailer by market value, Amazon is the kind of blue chip tenant we want."